Introspection after an election loss is necessary. Drawing the wrong conclusions, however, can be politically fatal. Democrats blew Republicans out in November. President Donald Trump likely helped Senate candidates in places such as Indiana and Missouri. He hurt Republicans here, and the best evidence of that is Danny Tarkanian. No Nevada politician embraced Trump as eagerly as Tarkanian, who sought to represent Nevada’s 3rd Congressional District in both 2016 and 2018. He lost by 1 percentage point in 2016. He lost by 9 points in 2018. Nevada Republicans can’t force Trump to stay on message — or at least off Twitter. But that doesn’t mean they’re powerless. Some, such as Republican consultant Greg Ferraro, suggest Nevada Republicans try to emulate outgoing Gov. Brian Sandoval. Sandoval is a personally popular politician, so that sounds like a potential plan. Too bad it’s what Nevada Republicans just tried. Republican gubernatorial candidate Adam Laxalt ran as a successor to Sandoval. He pledged to keep Sandoval’s education and spending programs in place, even those he disagreed with. It didn’t help that Sandoval did everything he could to elect Democrat Steve Sisolak short of formally endorsing him. It’s unclear, however, how much Sandoval’s backstabbing of his fellow Republican actually mattered. Sandoval embraced Sen. Dean Heller and Michael Roberson, who was running for lieutenant governor. Laxalt lost by 4 points. Heller lost by 5 points. Roberson lost by 7 points. Sandoval looks more like Barack Obama — a personally popular politician whose appeal doesn’t transfer. Part of the challenge faced by Republicans in Nevada is demographics. Minority populations are growing rapidly, and they tend to vote Democrat. It’d be helpful if there were areas of agreement between minority voters and traditionally Republican policies. Oh, wait. There are — social issues. But Nevada Republicans have foolishly gone out of their way to avoid talking about them. Start with the debate about transgender bathrooms. Hundreds of parents, predominantly from the Hispanic community, fought against the Clark County School District’s decision to allow biological boys to use girls’ locker rooms. 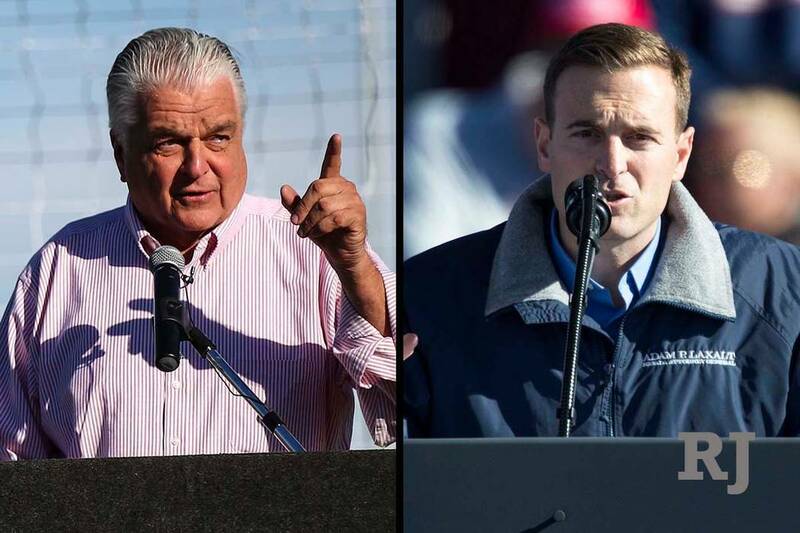 A survey put out by the Nevada Family Alliance showed that Clark County residents, by a 27-point margin, opposed that. Yet most Republicans wouldn’t touch the issue. Laxalt should have been leading the opposition and leveraging his stance to introduce himself to the Hispanic community. During the campaign, Sisolak came out in favor of partial-birth abortions. Nationally, that’s opposed by a 2-to-1 margin. As an ethnic group, Hispanics are also more pro-life than whites or African-Americans. Republicans didn’t bring it up. Low taxes are good policy and good politics, but they aren’t enough in Nevada. Even if they are personally ambivalent about social conservatism, Republican donors should be funding socially conservative grass-roots groups. Converting Democrat votes into Republican ones is difficult, but it’s a lot easier if you emphasize policy areas where they already agree with you.